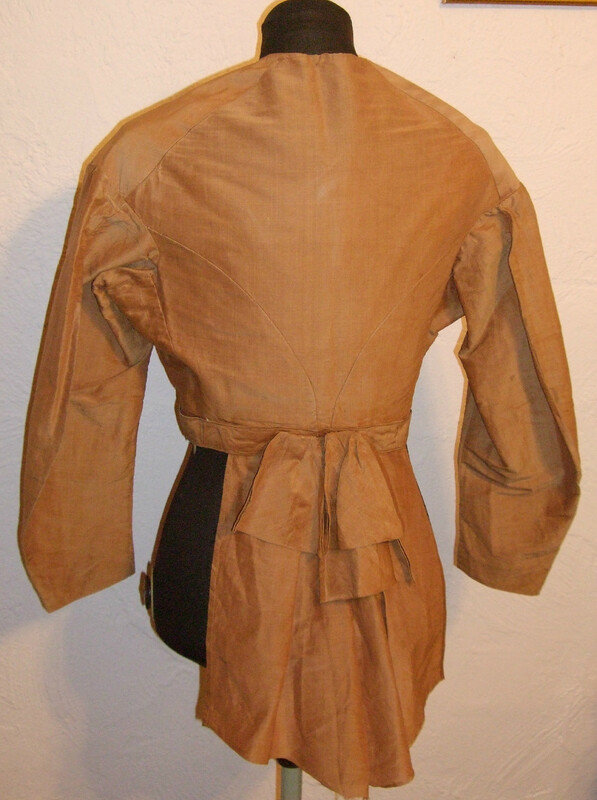 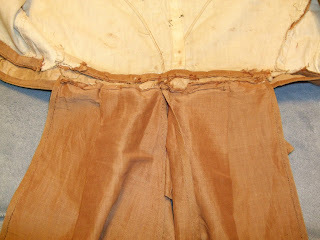 Currently available for auction is an Original 1860s Civil war Tan Bodice with bow in back. The fabric is a tan silk and the lining is cotton. The bodice bottons up the front with wonderful fabric buttons, missing two. 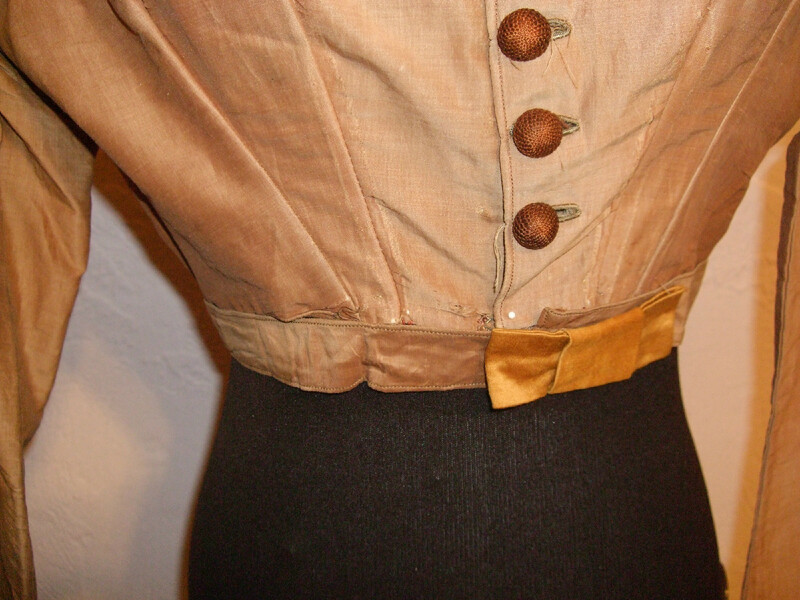 Measures: Bust 36, Waist 28, Hips , Shoulders 17, Sleeves 20 1/2, Neck 16, Length 29 (waist to hem), Cuff 8 1/2. The bodice is in good to excellent condition the bodice has been reworked so there is marks from being let out. 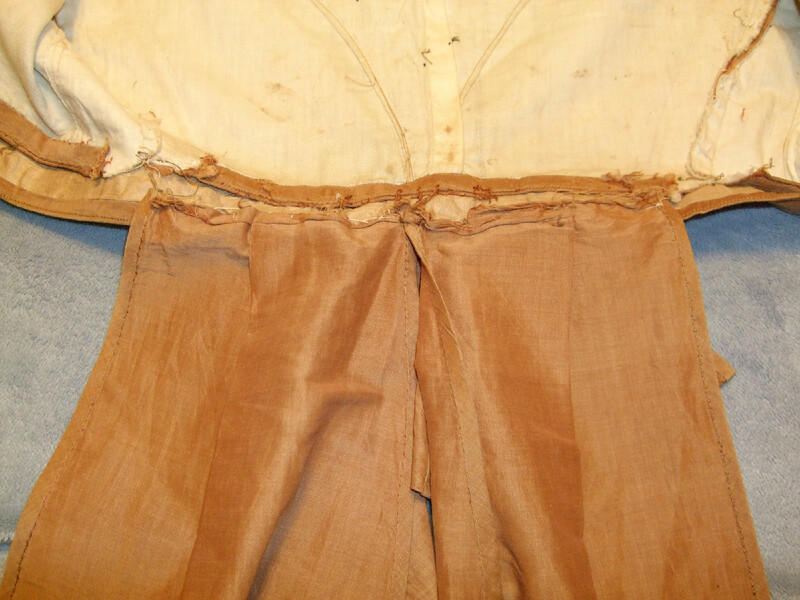 stain on the shoulder, wear to the fabric on the front. 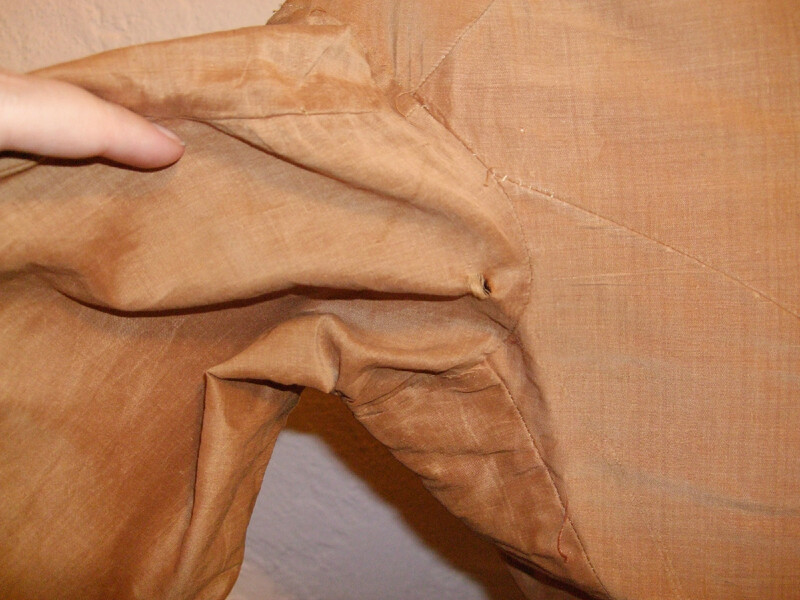 Small rip on the back of the of the sleeve at the arm.. 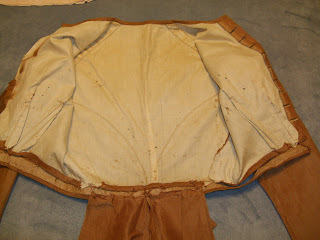 The bodice is very nice looking and would make a nice display piece or for study. 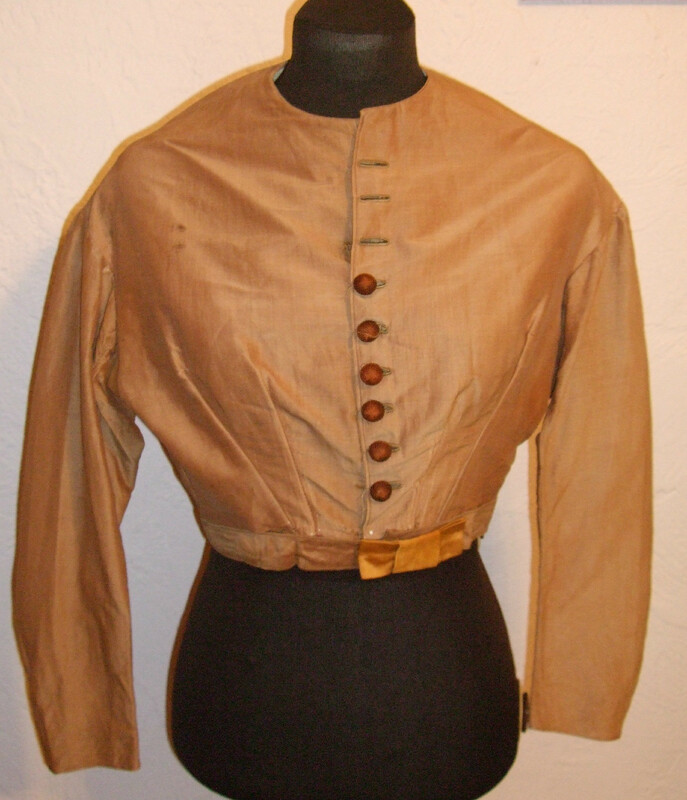 The bodie would be a great addition to your vintage wardrobe or your collection. Thank you for your interest in my auction if you like what i have posted, please view my other auctions.